At Expo East 2017 in Baltimore, Md., the Project NOSH team examined how nuts are playing a increasingly prominent role within the industry. 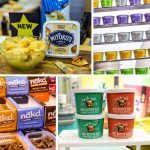 From dairy-alternative yogurts to on-the-go snack bars, here’s what we saw from nut-based products exhibited on the show floor. HNINA GOURMET, a healthy gourmet chocolate, snacks & spreads company will be exhibiting at their first Fancy Food Show this month and unveiling two new product lines as a followup to their best-in-class raw chocolate & sprouted nuts & seeds truffles. Royal Hawaiian Macadamia Nut, Inc., pioneer of delicious macadamia nut-crafted foods and beverages, today announced the expansion of its snack portfolio with Royal Hawaiian Orchards Single Serve Macadamia Nut Pouches. LuckyVitamin.com announces the launch of its LuckyEats line of affordable organic nuts, seeds, dried fruits, and snack foods. The 18 products in the new line join the catalog of more than 100 LuckyVitamin.com private label items including vitamins, supplements, protein powders and coconut oil. 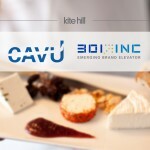 Kite Hill, which produces plant-based alternatives to dairy products, closed an $18 million investment today led by General Mills’ venture arm, 301 Inc, and CAVU Ventures, a partnership between Clayton Christopher, Rohan Oza and Brett Thomas. The brand, which is only three years old, produces yogurt, cream cheese, aged cheeses and cheese-filled ravioli, all made with almond milk.